New Release! 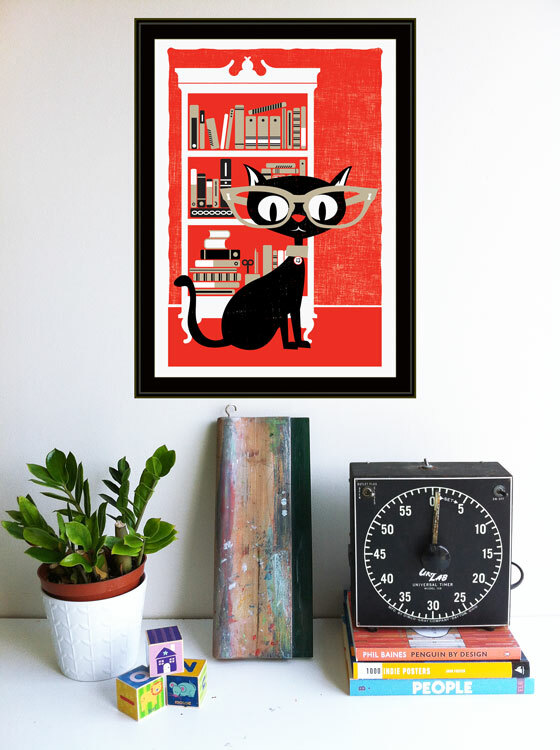 Black Cat Lucky 13 Art Print. Being born on a Friday the 13th, Allison takes a special delight in all things symbolically “unlucky”. 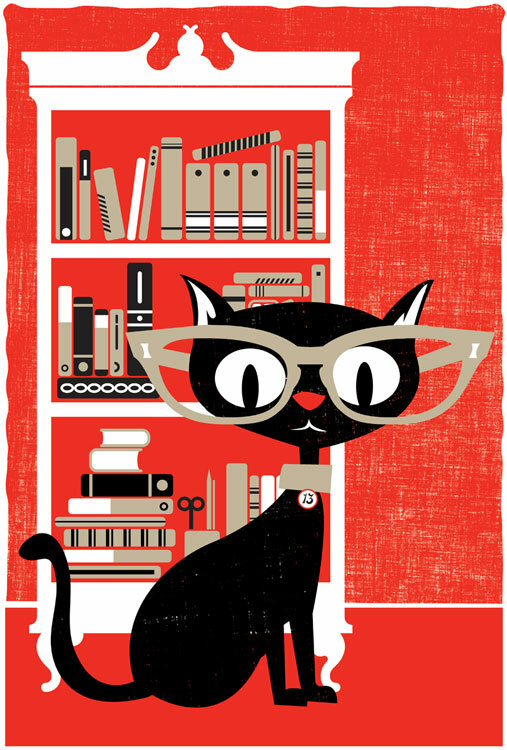 And, being a bit of a bookworm, well, our smartie pants black cat here originally created for a poster that we did for Jackie Kashian’s CD release party seemed like a fun art print to create for Halloween 2012. This art print is now available in our webshop here and also in our Etsy shop here. 3 colors, and all expertly hand silkscreen printed in our studio here in Pittsburgh, this print is ready to help you celebrate every day of the year. Bring a little backwards luck into your world with this erudite kitty cat. – Inks: 3 colors with hand-mixed scarlet red and midnight black non-toxic water based silkscreen inks. – Edition: Limited edition of 200. Each print is hand signed and numbered by strawberryluna. – Size: 16 x22 inches (45.7 cm x 61 cm). – Paper: Archival, no-acid, recycled content, American made Cougar Opaque White, 100lb cover weight. – Fits beautifully into either a standard 16″ x 20″ frame by trimming the border, or into an 18″ x 24″ frame as is with a matte.